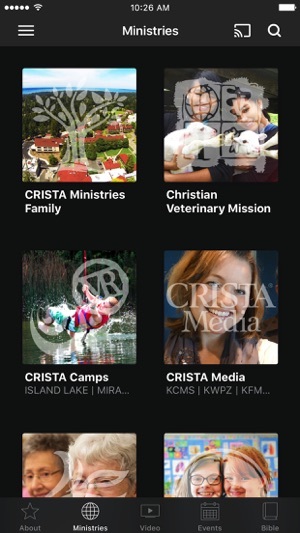 Use the app to connect with individual ministries, see lives being transformed through video offerings, stay apprised of upcoming ministry events, and enjoy live streaming of major events within the CRISTA family. The app also allows you to access written and audio versions of the Bible, along with a daily reading plan. 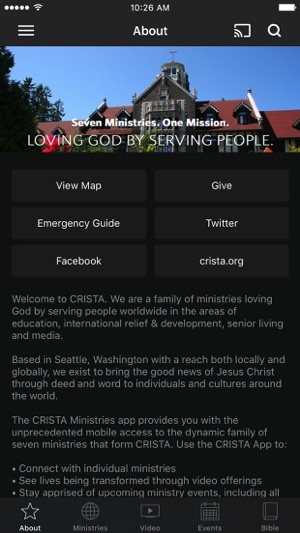 For more information, please visit www.crista.org. 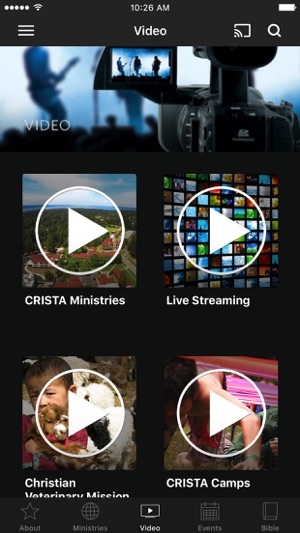 The CRISTA Ministries App was created with The Church App by Subsplash.